Big changes are in the works ! After five years of managing my photography business and retail studio location here in Dayton, Ohio, with lots of painful lessons learned, I’m finally moving onward. The Jim Crotty family is moving to Texas ! I will be continuing my photography business there, but without the expense and burden of a retail studio location. I will be doing more in the way of freelance, commercial work as well as returning to teaching part-time at the community college level. When I began Picture Ohio, LLC I emphasized my work with nature and landscape photography, only to realize later that the true potential of the business was by shooting location and assignment work for businesses and other organizations. This is why I have so many framed prints still sitting in my studio. 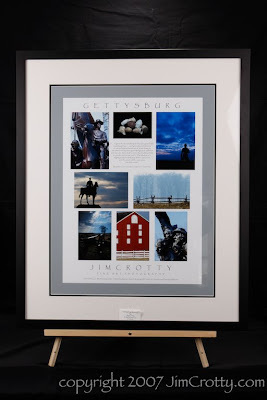 I made the unfortunate mistake of investing quite a bit of resources in custom framing during my first two years of being in business. Anyone who knows anything about artwork knows just how expensive framing can be. 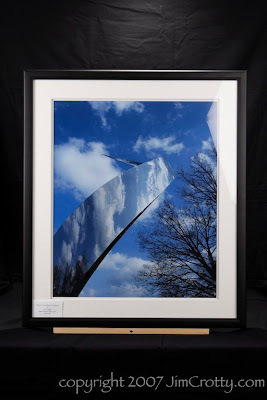 I have 24″x30″ prints, custom framed with black wood and double white mats, of Dayton and Ohio scenics, nature and landscapes. I also have several 16″x24″s and 8″x12″s. These framed prints have been on display in several area restaurants. The problem is I can’t take them with me to Texas, so . . . .
My loss is your gain. On framed prints that are normally listed for $250.00 I am offering for sale at $50.00 each. 16″x24″ at $25.00. 8″x12″ at $15.00. I also have many, many mounted and unmounted prints sitting in my print bins. 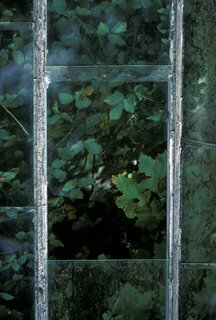 Some the mounted prints are as large as 40″x60.” Lots of unmounted prints in the 5″x7″ to 16″x24″ range. All of these I’m offering for sale from as low as $5.00 (5″x7″s and 8″x10″s) to $50.00 for the largest mounted prints. All these prints, and more, need to be sold. EXTREMELY low prices. Sidney my dog is not for sale, despite urgings from the wife. He’s coming to Texas too. This is a “cash and carry” sale only. Pricing applies to just those prints, both framed and unframed, that are currently in stock at my studio in Centerville at 6372 Far Hills Ave., just a few doors down from Elsa’s. No refunds or returns. All sales are final. No special orders. I accept cash, check, VISA or Mastercard. Ohio retail sales tax applies. Montgomery County Economic Development is recognized as a business-friendly, collaborative and responsive division of Montgomery County. It values nurturing partnerships among the business community and Montgomery County jurisdictions, as well as organizations in the Greater Dayton region, in an effort to build and maintain a strong, viable economy for our residents. We strive to develop quality economic development programs that will assist local companies in being competitive in the global environment. Discover what YOU can do to build lasting partnerships within the Miami Valley and across the country to ensure profitability and continued return on investment. Join us May 9th at the Schuster Center to learn more about economic development, marketing, and how YOU fit into the equation! Time: Networking and Registration at 11:30. Lunch and program begins at 12:00pm. Note: Walk-ins will be charged an additional $5. No shows will be billed. As the Director of National Marketing for Whole Foods Market, John focused his team on engaging in activities which were less about using traditional advertising and more about using the influential power of customers as the advertising vehicle. At Starbucks, John led countless highly successful in-store and out-of-store marketing promotions as a Retail Marketing Manager. Today, through speaking engagements and through his Brand Autopsy Marketing Practice , John shares business and marketing advice with companies aspiring to become the next Whole Foods or Starbucks. In his most popular presentation, Starbucks Tribal Knowledge, John shares the many lessons he learned from Starbucks on how to build an endearing and enduring brand. Note: Walk-ins will be charged an additional $5, no shows will be billed. What do creative “ponytail types” in marketing have to do with the “Gantt chart geeks” in project management? Plenty! Come hear how a little dose of discipline can help your marketing programs and campaigns be more effective (and maybe even more enjoyable!). 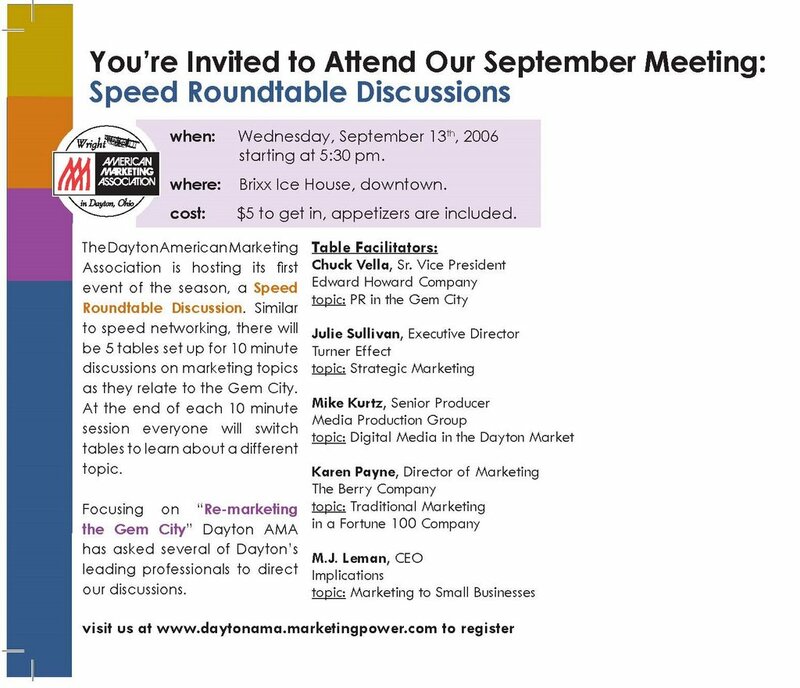 For questions about registration or the event, please contact the Dayton AMA at hospitality-dayton@marketingpower.com. Marketing from L.A. to L.A.
Laston Charriez, Director for Procter & Gamble’s Marketing Organization in North America, is responsible for developing and executing marketing training, recruiting and career pathing in the United States, Canada and Puerto Rico. Laston’s group oversees the development of new marketing knowledge and execution of marketing training for all of the almost 1,300 marketers in North America. For the last 5 years Laston has overseen the management of P&G’s business in the U.S. Hispanic and African American markets from Procter & Gamble’s Puerto Rico office. Laston started the pilot program that led to the creation of the Multi-Cultural Division and he led the Paper Brands for this Division for 3 years (Pampers, Always, Charmin and Bounty). Time: Networking and Dinner 5:45 pm. Speaker starts at 7 pm. This is something that I should have included within my most recent e-news email blast, however, I had so much on my mind from attending Imaging USA in Texas that I completely forgot. This coming Monday - January 22nd - I will be appearing on the local morning television news program of ABC 22 and Fox 45, Dayton. I’m scheduled to appear at around 7:40 AM. I will be presenting a print of my award-winning wildlife photograph that was recently published in National Wildlife and Nature’s Best magazines as well as being part of the current Nature’s Best show at the Smithsonian Natural History Museum in Washington, D.C. I will also be showing some other large display prints from my work in nature, landscape and wildlife photography and sharing a few tips on nature photography in general. Hopefully I will also be able get a plug in for my commercial and studio photography services. 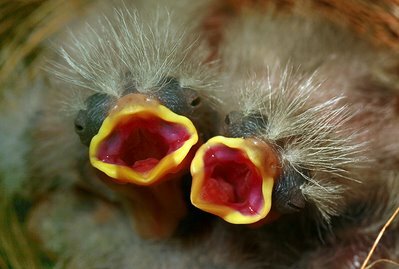 In a market like Dayton, being labeled as just a nature photographer has created far more challenges than opportunities. I just need to think of a way to communicate the fact that Picture Ohio is indeed a full-service photography studio. We will be sponsoring the Blue Star Mother’s Organization so please consider bringing a donation for our brave men and women who are currently serving over seas and away from their families during the holidays. Some items to bring are: dried fruit, CD’s, DVD’s, magazines, holiday goodies (nonperishable), Slim Jims, peanuts, small packages of cookies, monetary donations for shipping costs, and other small items they can put in their pockets during missions. These items will be given to soldiers that don’t receive mail from family and friends and will help to brighten their holidays with the thought that someone back home cares for their well-being. One of the many benefits of being a small business owner is the opportunity to network with other professionals. Commercial photography is no exception. Leisa and Wendel Atkins of Perfect Perspectives Aerial Photography provide a unique method for capturing aerial images of property and building projects. They utilize radio controlled helicopters with high-resolution digital cameras, enabling them to photograph properties from lower altitudes and in most cases more attractive angles as compared to aerial photography conducted from conventional aircraft. And their equipment is a bit more expensive and involved than what you’ll find at the local hobby shop, as is their training and certification. Leisa stopped by my studio a few weeks ago to show me samples of their work. I was very impressed. 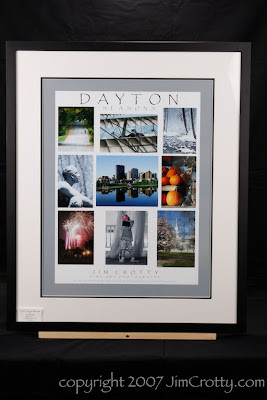 When I saw her print of the low-altitude print of Dayton’s 5th Street, I knew right away that they had a unique product and service. Check them out. Big news regarding this image . . .
On Tuesday, November 14th, from 7:30 to 8:00am, you can join members of the Dayton AMA for a roundtable discussion of Public Relations at Winan's Fine Chocolates and Coffee, located at 6735 Miller Lane. The discussion is open to all, and there is no charge to attend. This is a great opportunity to make new connections, gain new understanding, and enjoy some great Java. Join the fun. Find out about this and other events by visiting the community calendar section of my Squidoo Lens, Dayton Marketing Community. Check it out! Join us Wednesday, November 8th to hear Matt Owen, from the Dayton Area Chamber of Commerce, talk about how the Chamber is dedicated to continuously improving the business environment of the region. Named “Nation’s Best Chamber” in 1998 and first runner-up in 2001 by the National Association of Membership Development, the Dayton Area Chamber of Commerce represents more than 3,000 organizations in the multi-county Dayton region. The organization’s vision has not wavered since its founding in 1907 by National Cash Register Founder & President John H. Patterson. From those beginning days to now, the Chamber realizes its vital role as the lead business advocate in our region. Among thousands of initiatives and projects in our almost 100 year history, the Chamber was instrumental in: the adoption of one of the first commission-city manager forms of government in the City of Dayton; the establishment of Wright-Patterson Air Force Base; the development of Dayton International Airport; and workforce development initiatives such as the nationally recognized Job Center and the electronic job bank, Nationjob. Cost: Members $22, Non-members $36, Students $16 Registration: Click here* to register. Halloween Fun: What do you see ? What or who could it be ? More Halloween photo fun here. While I have a special affection for the Dayton AMA, there are several great marketing organizations in the Dayton area. With so much going on, it is easy to miss out on great events. With that in mind, I recently built a site called Dayton Marketing Community. In addition to informing visitors about upcoming Dayton AMA events, the site will feature job postings, local business news, coming events, and links to other marketing resources. The hope is that by placing all of these resources in one place, the Dayton Marketing Community, including the Dayton AMA, will grow stronger. Check out the site, and offer me you feedback. Did you realize that Victoria Theatre Association not only presents over 300 performances a year for over 350,000 patrons, they also manage the Benjamin & Marian Schuster Performing Arts Center, the Metropolitan Arts Center with the Loft Theatre, and the Victoria Theatre for the benefit of the entire arts community. An integral part of downtown Dayton and one of the city's premier arts organizations, Victoria Theatre Association has a new vision and a new strategy for the future that includes promoting a downtown arts district. Here to share that vision will be VTA president & CEO Dione Kennedy, with support from vice president of marketing & communications Sue Stevens. We look forward to seeing you Oct. 11th as we explore the exciting world of arts marketing!" Making the Cover, again . . .
For a third time, one of my nature photographs has been chosen for publication on the cover of Ohio State Parks Magazine. The recently issued Fall/Winter 2006 edition features one of the photographs I captured last October during one of many visits to Hocking Hills State Park in southeastern Ohio. This image is of a Red Maple near Cedar Falls, in all of its’ autumn glory. Previously my photographs have been featured on the covers of both the Spring/Summer 2006 and Spring/Summer 2004 issues of Ohio State Parks. Also, for your viewing and listening pleasure I've added a new "Pictures You Can Hear." This AV presentation is titled "The Best of Summer 2006" and can be viewed using the Windows Media Player or RealPlayer. It's a 25 meg. file, so it takes about a minute to download on DSL, but it is well worth it. 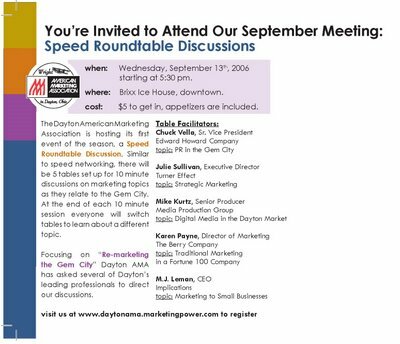 I want to pass along the following message about the upcoming AMA Speed Roundtable Discussions at Brixx Ice House on September 13th. This is your chance to meet some of the best and brightest marketing professionals in Dayton, and share your thoughts on how to revitalize the Gem City. Join the fun. Fall is just around the corner, classes are now back in session, and it's time to start thinking about the American Marketing Association once again. I would like to introudce myself to you. I am Daniel Ricica, Associate Professor of Marketing at Sinclair Community College. I am the Collegiate Chair for the Dayton Chapter of AMA. I am extending an invitation to each one of you to attend the September meeting of the Dayton Chapter. Attached you will find a card that gives you the day and time of the September meeting. I encourage each and every one of you to mark your calendars and attend September's meeting. If you have any questions about the meeting, please feel free to e-mail me or call me at 512-2948. I hope to see you in September.